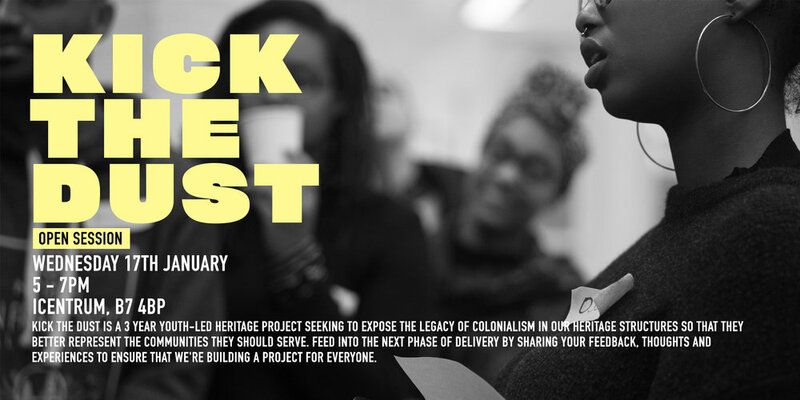 Join us for an open session to ask questions about the Kick the Dust project, where it's going and why. Feed into the next phase of delivery by sharing your feedback, thoughts and experiences to ensure that we're building a project for everyone. The session will be informal and discussion based, held at our offices, with nibbles provided. Let us know if we can help you to attend the session in any way. Contact Tony@beatfreeks.com with any questions. This session will be led by Tony and Zeddie.